Local YouTuber Allan “SC0TTYgames” Scott has baffled and impressed viewers today after managing to pad out nearly 30 minutes of his latest video analysing a single tweet from the Overwatch account. The video, titled “OVERWATCH: Next hero CONFIRMED REVEALED??? Clues and Analysis” features 27 minutes of Scott discussing almost absolutely nothing, but in a level of detail that viewers found “reluctantly impressive”. Scott’s latest video breaks the record previously held by YouTuber Nicholas “truexpert Games N Reviews”, who set the bar high when he published his video “BLIZZARD LEAK!!!! 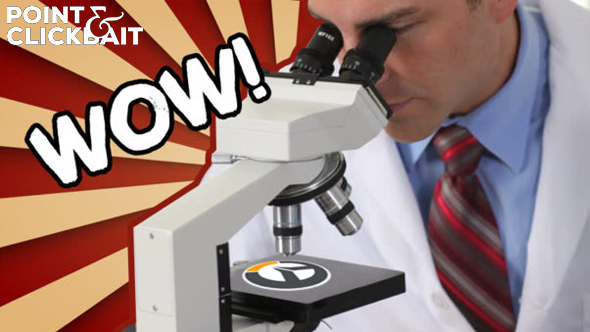 OVERWATCH SECRET CONFIRMED!! !”, featuring him slowly reading out a single Blizzard forum post for 23 minutes and 45 seconds. Viewers confirmed to Point & Clickbait that at the end of Scott’s video, they hadn’t learned anything they couldn’t have learned simply by taking five seconds to read the tweet, and felt “faintly robbed”. At the time of publishing, the video has been watched more than 1.3 million times.